Hawaii, the 50th state in the union, is known as one of the most beautiful and scenic places on Earth. It doesn’t come as a surprise that people would want to RV around the island chain to see the views and experience the fun but RVing around Hawaii can be tricky. For many RVers, Hawaii is a bucket list destination trip they attempt at least once in their lifetime. For others, RVing in Hawaii is a unique opportunity to see The Aloha State in a new light. That’s why we’ve put together some information and what to do before attempting to RV around this Pacific paradise. This article should be a helpful resource on what to expect, the unique RVing situation of the islands, and the places that accommodate RVing. Despite the lovely parks and camping areas, you won’t see many RVs in Hawaii for many reasons. It’s impractical to ship RVs from the mainland to the island due to the significant expenses of transportation, RVs would cost too much to be practical on a large scale. The weather and climate of Hawaii are also a large deterrent, the combination of humidity, salty air, precipitation and even insect population would cause damage, rust, and corrosion on many materials that make up RV bodies and parts. The infrastructure of Hawaii is not set up to handle larger vehicles with many roads being too narrow or having smaller load limits. These are only the main reasons that RVing in Hawaii is uncommon. All business aside, there are a few parks in Hawaii that can accommodate trailers and motorhomes. There are no real RV parks in Hawaii so that the following areas will allow for parking but no RV amenities such as utility hookups. Camping at any park requires a permit which available online for free. You will not be able to ferry your RV across the Pacific, so you will need to rent a motorhome or camper to get your RVing experience in. Due to the infrastructure of the islands, your best bet is in renting a small motorhome or camper, like a Class B motorhome or camper van. If you do manage to get your paws on an RV in Hawaii, here are three places to try camping out. If you’re looking to get some world-renowned surfing in, then Malaekahana State Recreation Area is the place for you. Like the rest of Hawaii, there are no hookups or utilities, but the grounds provide showers, picnic tables, fire pits and drinking water. You must have a permit to stay overnight, and camping is not allowed Wednesday and Thursday. If you need a place to stay in your RV on the “Big Island” and you’re looking for a unique travel experience you can stay at the Hedonisia Eco-Hostel. The campsite is a great starting point for many great Hawaiian attractions such as Volcanoes National Park, Hilo Bay, and Kehena Black Sand Beach. There is a daily fee for staying at Hedonisia but if you prefer you can volunteer a few hours instead of in on behalf of Hedonisia’s ecotourism program. You’re sure to come away with a good story to tell by choosing to stay at Hedonisia. There are no reserved RV parking spaces, but there is plenty of room near Papalaua Wayside Park to accommodate larger vehicles like a class B or C motorhome. There are no showers or water stations, but the park does provide restrooms. With vast open picnic areas and BBQs available to grill, you'll have access to snorkeling, kayaking, and surfing right on Maui's coastline. There's no parking or camping available Wednesdays or Thursdays, so plan wisely. 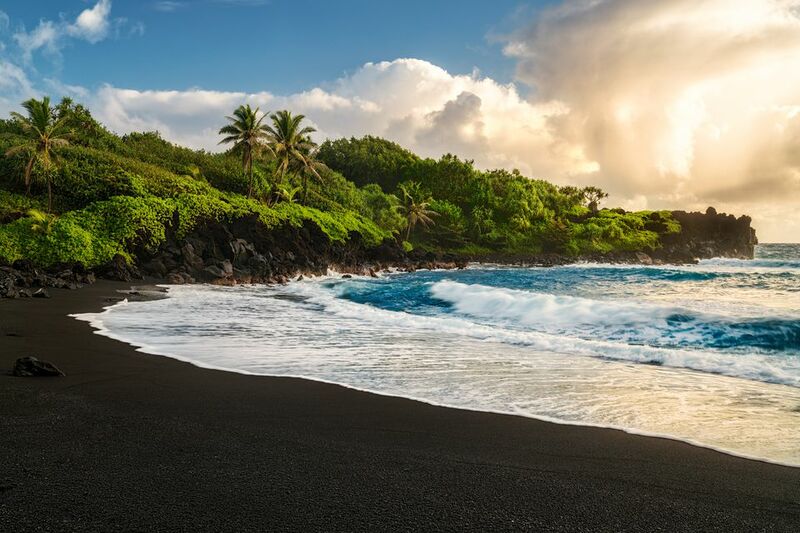 Hawaii offers some of the most beautiful beaches in the world, hiking trails to the tops of volcanoes, and a look into island culture you won’t find anywhere else on the planet. Whether you’re an RVer or camper, add Hawaii to your bucket list and cross it off that list as soon as you get the chance.